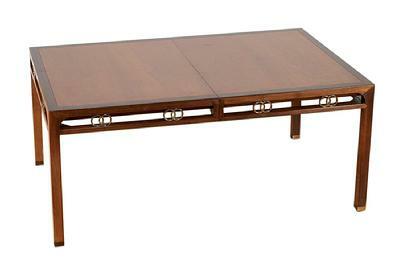 A grand scale dining table in walnut with possible cherry field. Solid brass ring accents. Three extension fillers with supplemental support leg.